Dante Alighieri? A Florentine obviously! That’s what any tourist who travels throughout our lovely Italy would say. And they certainly wouldn’t be wrong. Dante was a Florentine, of course, but by birth only. After his exile, everyone knows that the poet, father of modern Italian, in fact moved to Verona. Then his travels brought him to Ravenna where he is now buried. But then Pietro, his son, bought the lands of Valpolicella and his family has lived in Valpolicella ever since. I am a part of that family and it has always been an honour to have this surname. Obviously in my schooldays this did not spare me some serious scoldings in Italian literature so maybe that’s also why, coupled with the fact that Dante is certainly one of the greats I learned to love his work when I grew up. Unfortunately, I don’t think there are many who are able to understand him today! As I mentioned, Pietro bought these famous lands in Valpolicella, specifically in Gargagnago, lands that my family has loved for six centuries. In fact, my sister and I still live here with our parents. That could be mistaken for a classic Italian case of not being able to cut the apron strings but that’s not it. I’d challenge anyone to leave Gargagnago. This attachment that the Serego Aligheri family has is in our DNA, passed down form generation to generation. But I don’t want to bore you anymore with my family history, even if you’ll understand when I say that, for me, it’s hard for me to introduce myself without mentioning my ancestors. But I’m me and Dante was Dante. So let’s get back to the present day and the land that I have such a hard time leaving. 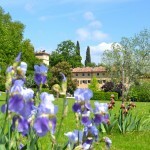 Gargagnago is right in the heart of classic Valpolicella, where the wines that are famous the world over are produced. My family, it goes without saying, has, of course, been involved in wine production! Wine, food and land, that’s the leif motif of our land, our Italy. My task here is to recommend the best places to visit: that’s dangerous for many reasons. Think about how many of you are intimately familiar with London, Paris and Rome but don’t know what’s going on right outside your front door! But I hope that I can give you a good impression of the land that I love and couldn’t live without! 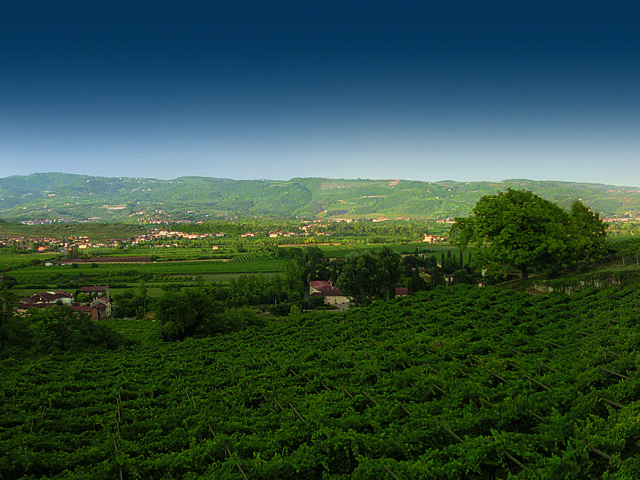 Valpolicella is a land that fascinates primarily for its scenery and for its agriculture. Unfortunately, even here, the local authorities have tried to ruin the beauty of this place and the landscape. That’s why many locals have formed associations and there is discussion about enacting a law to make this region a park in order to protect the area where we live. First, a tourist to Valpolicella should definitely go eat in a local restaurant (there are many!) and visit at least one winery. The winery I recommend is the most obvious and the most banal. But remember that winery tours are almost always by reservation only. 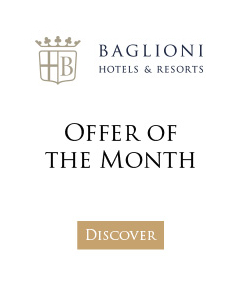 So we have the landscape, hikes, wine, food and the pievi (parish churches)…! The two most important churches in my region are definitely St. Florian and St. George Ingannapoltron. 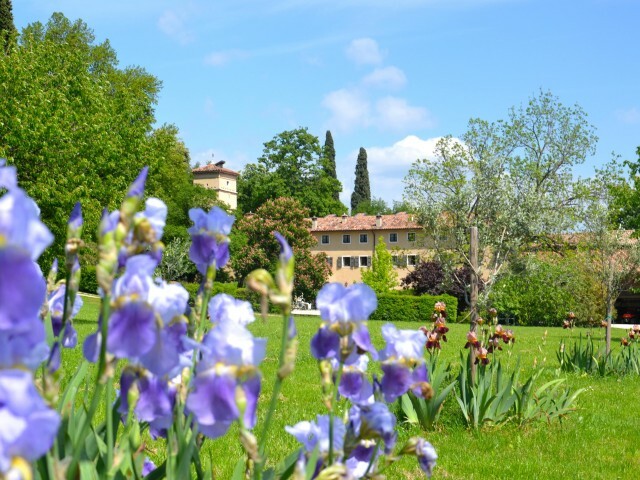 The first is easy enough to find on the main road that leads from Verona to Sant’Ambrose. The second is a little more hidden away but, once you get there, the view is something you wouldn’t be able to find elsewhere in the world! I’m not going to tell you more because what you really need to do is get lost. Get lost to find that peace and quiet that only Valpolicella can offer.